After a very long wait, 'Queer Eye' is finally back on our screen for season three and the fans are overjoyed. In the latest news, 'Queer Eye' has just begun casting for a new season of the Netflix TV show, reported DigitalSpy. 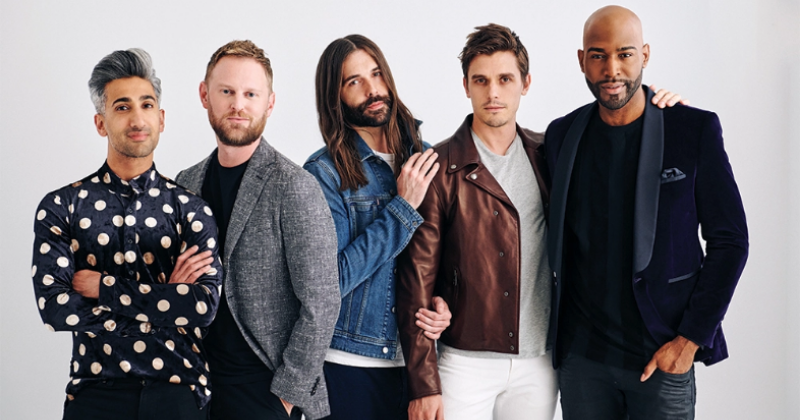 The fab five, also known as Karamo Brown, Jonathan Van Ness, Antoni Porowski, Tan France, and Bobby Berk are all continuing their mission to give people both the physical and emotional makeovers of their dreams, but they have moved to a new location. The fab five has said goodbye to Altana and moved to Kansas City and now revamping their first lesbian duo, as well as performing a dual makeover. Even though there are no official release dates as of now, a four-episode special titled 'Queer Eye: We're In Japan' this year. This serves as a look back to the time they went to Tokyo in February, and we were all wondering what they were up to? They were filming new episodes, thankfully. The fans are obviously thrilled about the four-episode special series until then, let's rewatch all the episodes that are available on Netflix. As the casting for season 4 is on its way, casting mastermind Gretchen Palek told Vanity Fair, "We did a twofold approach. We had to cast people on the ground looking, scouting within the circumference of where we would be shooting. Then we also had people in the office in New York working the phones, and also sort of scouring social. One of the things we’re really proud of is we’re really proactive. We definitely accept applications and nominations, but we also know that sometimes the best stories may not submit themselves." The first season aired on Netflix back in February 2018 with the second airing just a few months later in June. But the series creators made the fans wait nine long months for the third season to air on TV and landed on our screen March 15. Going by the looks of it, there has been no concrete pattern, but the chance of the fourth season being aired on TV is later this year. The shows original series was filmed in New York. But seasons one and two of the reboot have taken place in Atlanta, Georgia, and the surrounding areas. Season three was filmed in Kansas City Missouri so whether season four will stay, head back to Atlanta or pick up in an entirely new state remains to be seen.